At Computer Logix, we know that mobile solutions represent a significant aspect of future business communications. The explosion of wireless access has made the PDA a vital tool for any business. Now you can access company data from anywhere and anytime! Getting at the data is great, but really being able to use it is the key to success. 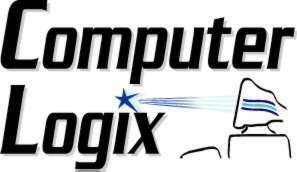 Computer Logix utilizes the latest in PDA technology, including Pocket PC 2002/2003, wireless (802.11 and Bluetooth) and server synchronization. We use only the best Pocket PC devices, such as Symbol, HP and Dell. Plus, we package only high quality add-on components from brand-name manufacturers; Socket Communications for WLAN and LAN connectivity, SanDisk and Kingston for flash memory and various case and holster manufacturers. The combination of cutting edge computing with fast data access provides businesses with the tools they really need to operate in remote access enviroments.